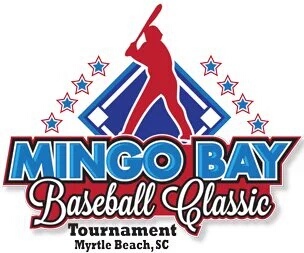 In the first day of the Mango Bay Classic in South Carolina, the Key West Conchs faltered by leaving 12 baserunners on the bags on offense and multiple errors on defense. Despite out hitting their opponent 8-5, the Conchs were unable to put runs on the board as the Osbourn Eagles, from Manassas, Virginia, won 3-2. Starting for the Conchs, for the first time since February 26th against Southridge, senior Hunter Sellers had a strong outing. Sellers pitched five innings, giving up three runs, two of which were unearned, only four hits and striking out an impressive nine batters. The star player for the Conchs was Christian Luna who went 3 for 4, extending his hitting streak to eight straight games. Key West started off strong in the top of the first loading the bases with two outs. The Conchs were only able to bring one run leaving the bases loaded, something critical for such a low scoring game. In the bottom of the first, the Eagles lead off batter sent one flying to right field for a stand up double. A single advanced the runner to third and with men on the corners, the third batter hit a sacrifice fly to center. The ball had enough distance to allow the man on third to tag up, making the score 1-1 after the first inning. Patrick Edwards was walked to start off the top of the second and Christian Luna got on base with a single to left. Two out and two on for Sellers, the senior reached first base after being walked. For the second straight inning, the Conchs had the bases loaded with two outs. And once again, the team was only able to bring in one run. A wild pitch flew past the Osbourn catcher which brought in Edwards giving Key West a 2-1 lead over the Eagles heading to the bottom of the second. The Virginia high school wouldn’t be intimidated by the Conchs, as they would go on to tie the game at 2 apiece. This inning it was Key West’s time for a wild pitch as the baserunner from third easily came in for the tying run. In the top of the third, Key West left two more runners on the bags keeping the game 2-2. Osbourn took the lead in the bottom of the third. The Eagles reached first base after an error in the infield. A second straight error by the Key West infield gave Osbourn runners on first and second with only one out. The very next batter smashed one to right field giving the Eagles a 3-2 lead over the Conchs after three innings. In the bottom of the 5th, Sellers struck out his ninth batter of the game getting Key West out of a big jam. The Eagles had the bases loaded with the batter facing a full count, but was caught looking at a nasty curve ball from Sellers keeping Key West only down one run heading to the 6th inning. Kyle Snow came in relief for Sellers in the bottom of the 6th and was able to keep the Eagles from scoring. Key West had one final chance in the top of 7th to either tie or take the lead to extend the game. Randy Garcia led off for the Conchs and sent one booming to left field. Rounding second base, Garcia hesitated but decided to go for the triple. Sliding into third, he appeared to be safe. However, the umpires met at third base and called Garcia out. Frustrated with the call, coach Ralph Henriquez challenged the umps but the call stood and Key West had two outs left. Despite a late rally, the Conchs were unable to score, ending their six game winning streak. For the Eagles, Bryce Reddington went the distance throwing a complete game picking up the win for Osbourn High School in the first day of the Mingo Bay Classic. Despite the loss, the Conchs play the next three days. Set to pitch tomorrow for Key West is Ty Hughes as the team faces Forest Park HS, another team from Virginia. Make sure to keep up with all of the action by listening to WKWF Sports Talk Radio 1600 on the radio or follow me on Twitter, @therealBeede, for updates on the Conchs!